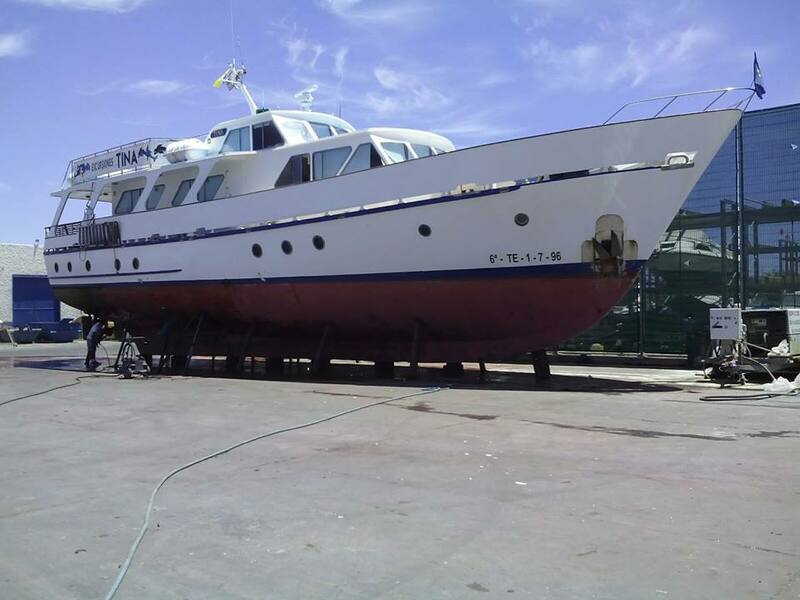 As of May 11th, the Tina boat is at the shipyard. Due to technical problems we have to prepone our annual stay at the shipyard. In the meantime we will offer the tours with the SPEEDY. The Tina will probably be out of service for about 5 weeks, also for the annual inspections and reparations. The Speedy will offer the whae watching and Los Organos tours during this time, also the tours in Playa Santiago (only on Mondays!). The price in Santiago is 43€ per person. On Thursdays we wait for the Benchi Expres so that guests from San Sebastian or Playa Santiago, who might not have a rental car, can participate in the Speedy tour from Valle Gran Rey. TOURS TO LOS ORGANOS ARE OFFERED FROM VALLE GRAN REY ON DEMAND AND DEPENDING ON THE SEA CONDITIONS.